We are familiar with Revit's standalone backup file process. Each time we save it creates a new backup file, based on either the stock setting of 3 backup files or as many as we've chosen instead. 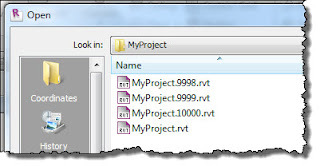 I've never run into a file that used more than the four digits that appears in the file name of a backup file. The other day someone asked what happens at MyProject.9999.rvt. 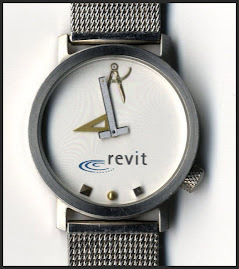 As it happens Revit keeps on numbering and adds a new digit; MyProject.10000.rvt.